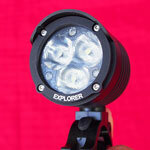 Video: Test loop with the Gloworm X2. Camera is on a locked ISO setting and is set to Wide Angle mode. 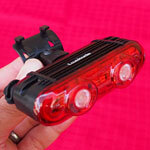 This light is ideal on the bar with an X1 complementing it on the helmet. By itself, helmet mounting is ideal to cover all the switchbacks and tight turns with illumination. 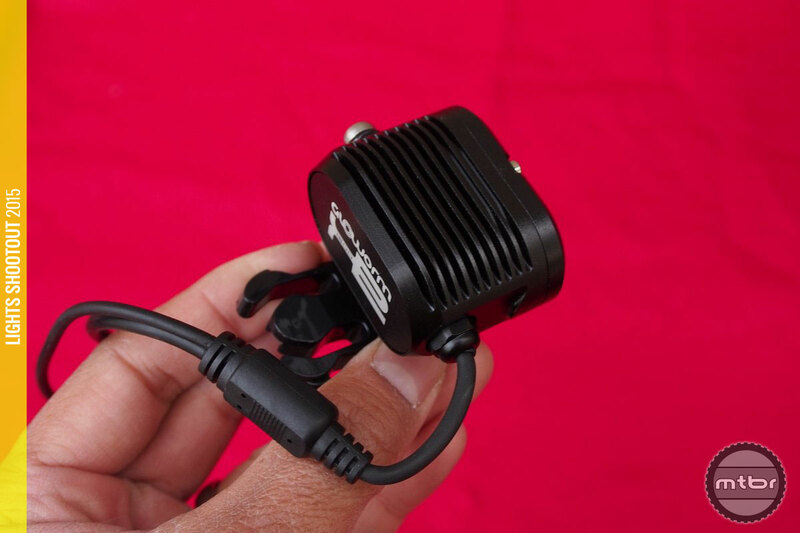 We even used the smaller Gloworm battery (not included) on the helmet so we could mount the battery on the back of the helmet for a ‘backpackless’ helmet light. That worked very well and run time was halved to 1:15 hours. Running it at mid power during climbs gave us more than enough light and enough run time. So the Gloworm X2 wins again. It’s not a huge improvement from last year, but it keeps marching on with a beautiful beam pattern, a well-conceived package and good value. For more information visit www.glowormlites.co.nz. Regarding Chinese lights, I have one that I’ve had to repair around 4 or 5 times. If I didn’t know how to solder it would have been in the trash by now. I’ve had it die in the middle of rides while in motion. That was scary. I will never trust it by itself again. Before the Chinese light, I had and still have a Light and Motion Stella 200. Not bright enough to use on its own, hence the Chinese light purchase. 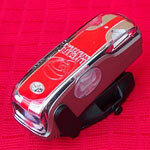 The Light and Motion has been bulletproof for the past 6 years, although the battery is now on its last legs. 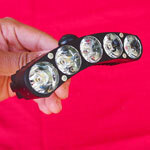 My latest light purchase (yesterday) was from a US company manufacturing their lights in the US. Yes it was more expensive, but my experience has been that quality lights are waaaaay less headache and waaaaay less of a safety hazard. What was the us manufactured light? it’s difficult, but i’ve found 3 US manu’s so far as identified by mtbr in the shootout. I recommend a “US manu” classification or category to be added to the shootouts. 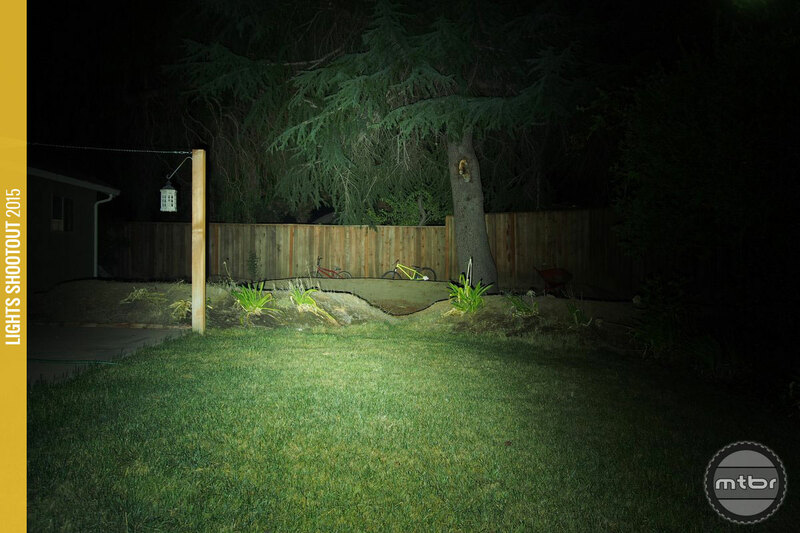 BK – my experience with Glowworm has been as far from yours with “Chinese” lights as possible. Glowworm is a NZ company, with the lights being made in China. 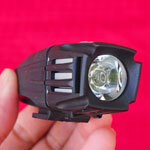 This is not a $20 magicshine knockoff. Over my two years and 100 1hr or more run cycles with the X2, including extended wet weather, I have had not 1 problem with the light head or battery. My magicshine lights, not so much. Not sure if you rant is specific to “Chinese” lights in general or the X2, but myself and a number of others in the area, and countless on the boards are running them with little to no problems. Jon, I’ve heard only good things about the X2. I was not trying to diss Gloworm at all. 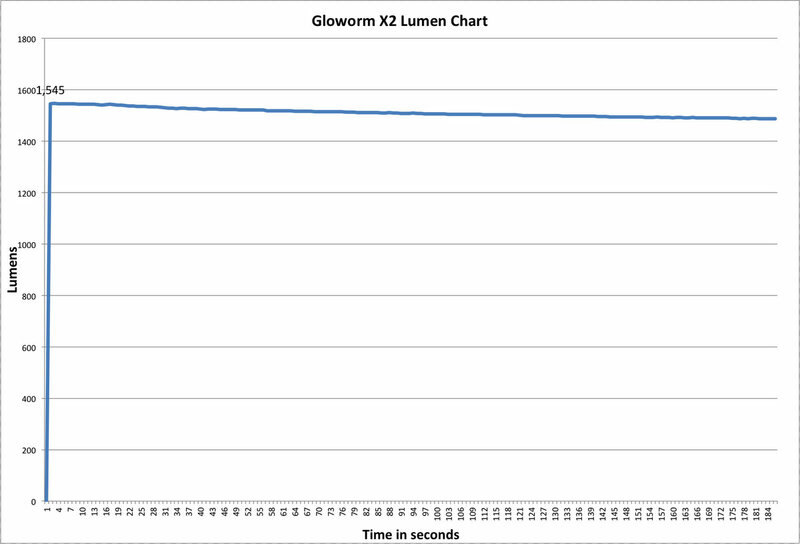 I was actually trying to defend buying high-end lights like the Gloworm. I did know the Gloworm is based in NZ and made in China, though, and that is one of the reasons I did not buy it. Not for quality reasons, but because I wanted to support a domestic company. My experience was with a cheap Magicshine knockoff like Mike Colburn is promoting above, and my response was trying to explain why the ‘average person’ may want spend more than he did. Not many people are willing or able to fix things in our throwaway culture, so the average consumer may actually end up spending more on cheap lights over the long term than one good one. Jon, scroll up a bit, to Facebook Comments. Thanks for clearing that up guys… For whatever reason, I can’t see the facebook comments the area just shows blank on my browsers, probably due to being at work. Sorry for the confusion! Regarding cheap chinese lights, in my local bike community there’s one whom the charger exploded, and one whom the battery exploded. Who knows what might’ve happen if it had set a curtain on fire or whatever. 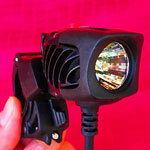 There are a few reports of attach breaking or light shutting down while riding. 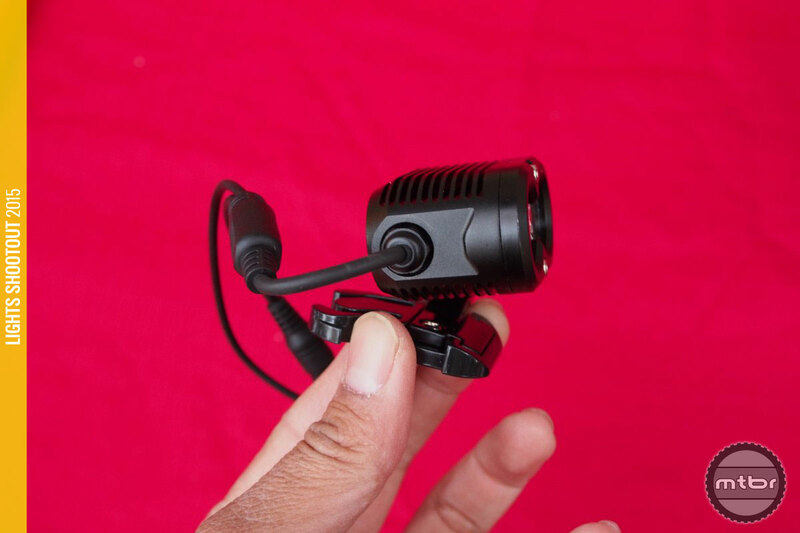 So yeah while light designs aren’t much different and while most lights (cheap or expensive) are made in China, and while you pay the brand as well, when you buy a high end light you also get materials of better quality, better QC. Wow. Shameless rip-off of a lupine piko. 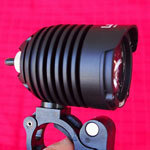 Lupine has done an incredible amount of free R&D for light manufacturers. 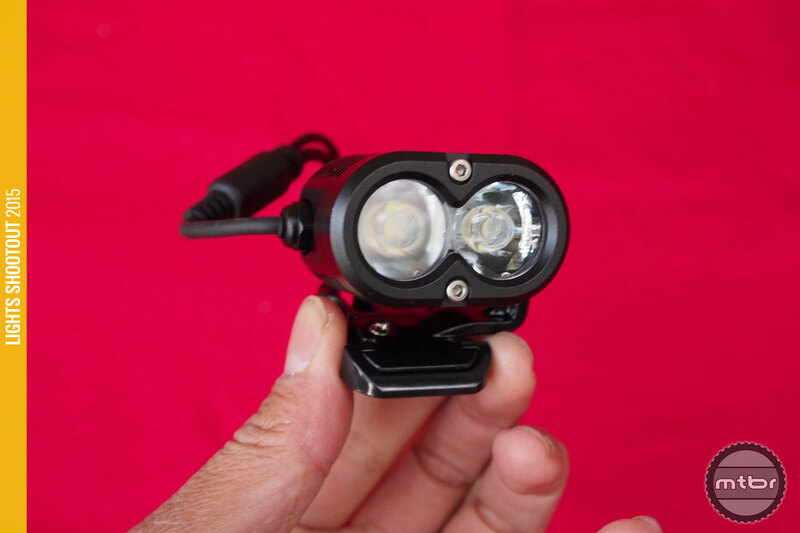 Having just begun research into lights, I’m amazed that people are so cheap when it comes to lights, but will pay so much for other items related to mtb. 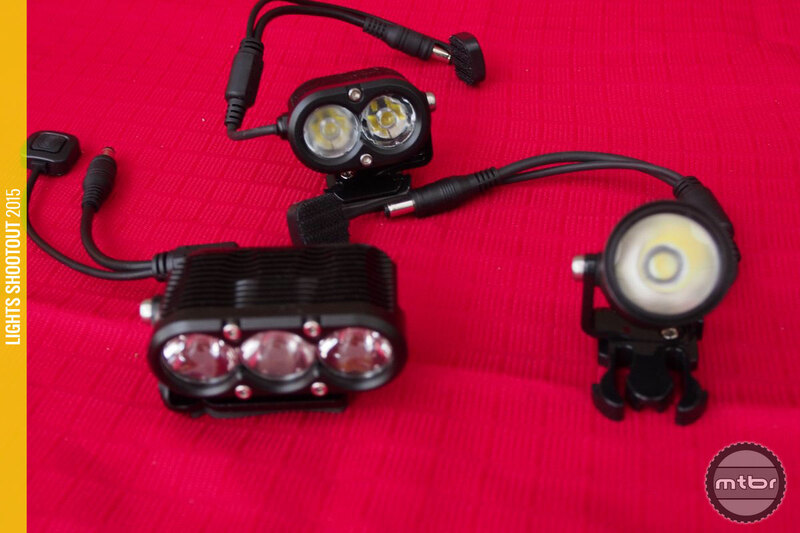 Making a high output LED reliable and safe is much more difficult than making a pair of knee pads, or mtb shorts, or even a crankset. 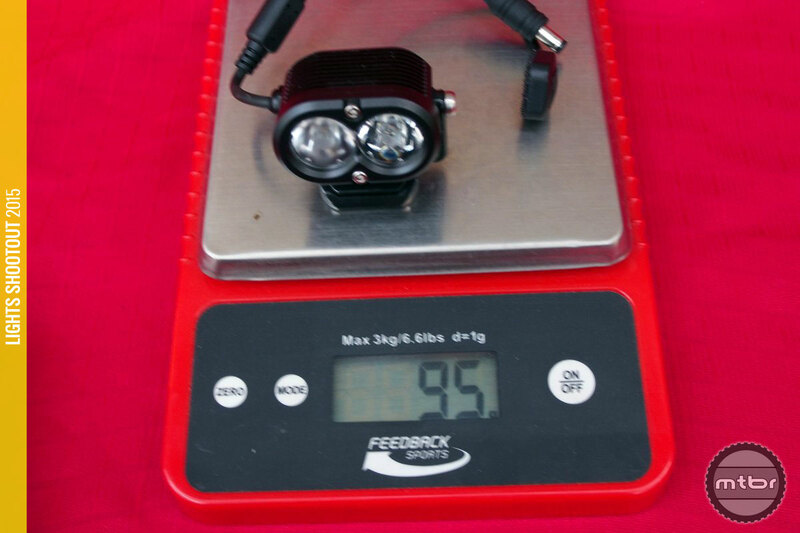 A friend just bought a $30 2000 lm light online … How is that even possible for $30? The shipping was probably more expensive. 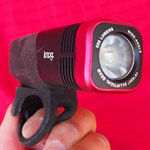 I certainly wouldn’t rely on a $30 mtb light. Totally baffled by this.